Stackable Bracelets set of 3. Multiple wrap bracelets, made of rose gold and Swarovski crystals. An elegant combination of sage green with blue opal and white opal make your look fashion and trendy. 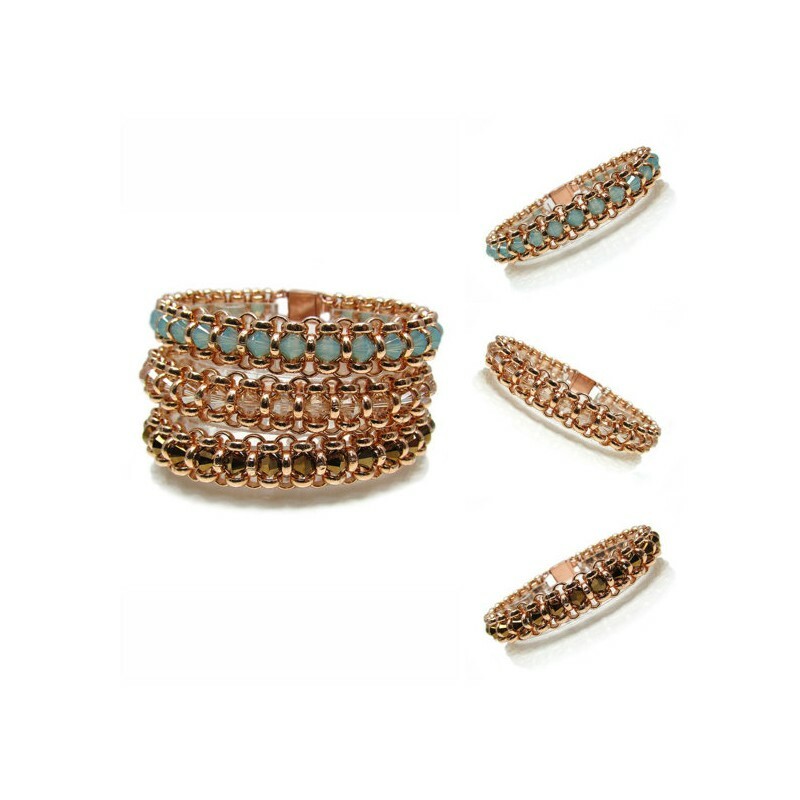 Stackable Bracelets set, an elegant combination that makes your look fashion and trendy.